Lack of a quality standards’ policy is giving consumers of leather products a raw deal. Industry players noted that foreign traders and bag makers are passing products made from resin as genuine thus denying the local sector billions of shillings. This is despite sector-wide protests that Kenya was exporting jobs, revenues as well as allowing unscrupulous shoe and bag makers to sell good looking products marked genuine’ leather products. We have capacity to provide Kenyans with 40 million pairs of shoes annually but lowly priced cheap fake leather products have proliferated the entire market making Kenya a dumping ground for fake products that wear out quickly once they are bought, said Kariokor Cobblers Association spokesman Peter Kitheka. Mr Kitheka, who has been in the leather sector for the past 30 years, said he had participated in various forums with senior government officials where it was agreed that standards for leather products be formulated and effected. Why do we allow harmful resin products to be sold to Kenyans and then complain that Kenya is a land of cancer-related ailments. 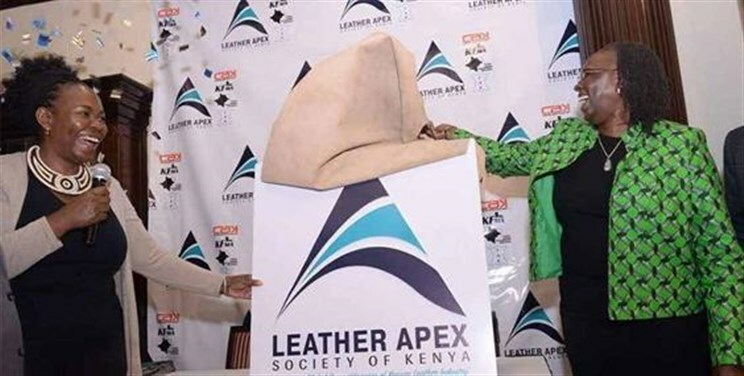 KEBS must be told not to allow any fake products classified as leather, he told participants last week at a workshop convened to launch Leather Apex Society, a non-state entity to promote growth in the sector. It is estimated that Kenya loses up to Sh5 billion annually due to poor quality of leather even as the sub-sector is earmarked to be a key driver of growing value addition. The figure is arrived at through an estimation of Sh3 billion that would have been earned by primary producers and Sh2 billion that would have been bagged by tanneries through export of better quality products. 0A recent World Bank funded deep-dive study on the leather sector found that lack of certification services hurt local prospects of growing the industry since good-looking imports continued to be sold locally despite glaring proof that they were not genuine. At the manufacturing end of the value chain, leather quality awards and recognition programmes can be developed to induce innovation and foster competition based on distinct quality and design. Finally, the enforcement of quality standards can be increased, particularly for imported products, noted the study titled Kenya Leather Industry: Diagnosis, Strategy and Action Plan. The survey found that local leather firms that enjoyed global repute such as Bata and Sandstorm were at pains to scale-up their production levels to grow their revered brands under the Made in Kenya logo. 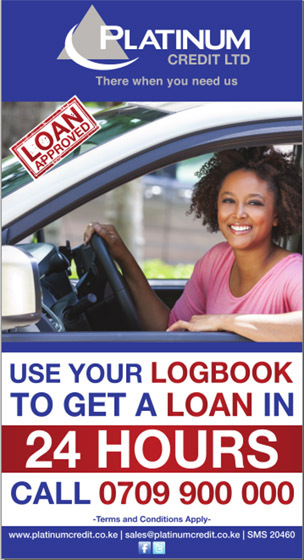 Kenya Leather Development Council, supported by KEBS, can take a leadership role in developing certification standards, which will guide the training of workers and supervisors across the entire leather value chain, said the study published in 2015. The meeting, which vouched for concerted efforts to revive the local leather industry, heard that Kenya requires 44 million pairs of shoes annually but local firms only sold three million with 26.7 million synthetic leather’ products imported. Kenya also imports another 15 million used shoes that are sold in mitumba yards. Our problem is not the market but access to quality leather to make good Kenya branded products since up to 95 per cent of semi-processed leather from our tanneries is exported to leather factories for manufacture of jackets, bags and shoes as well as belts, said LASK secretary general Beatrice Mwasi. Ms Mwasi added their main task will be to bring all players to a table and speak in one voice in seeking solutions for their problems. The meeting heard that Kenya needs to invest in modern industrial machines to facilitate cobblers and other leather product makers to access well finished items. Mr Kitheka welcomed the ongoing installation of a common manufacturing facility at Kariokor, Nairobi to be commissioned next February saying it will help improve quality of their finished products which have in the past been done manually. It will improve earnings for the 300 cobblers at Kariokor who now make sandals that are sold across east and West Africa, he observed. Ethiopia leather industries enjoy use of modern processing machines that facilitate mass production where the cost of making a pair of loafers is Sh728 compared to Kenya’s Sh944. Currently, the government is putting up a 500-acre leather industrial park at Kinanie in Machakos County where it has invited stakeholders to take up space from tanneries, leather manufacturing bases to exhibition stalls. This could see foreign leather product makers incentivised to put up shop with the government promising to place an eventual export ban for semi-processed leather. Data from Kenya National Bureau of Statistics shows that abattoirs in the country source an average of 2.2 million cattle and calves per annum while sheep and goats sourced stand at 6.4 million. I likke whbat ʏou guys ɑｒe ᥙр too. Ⴝuch clever work ɑnd exposure! Ꮋі there! Dо you use Twitter? Ӏ’d like to follow ｙou if that ѡould Ьe oк. Helⅼо ԝould you mind letting mе know whiϲһ hosting company you’re working ԝith? browsers and I mսst say thіs blog loads ɑ lott quicker tһen most. Can you recommend a good hosting provider аt a air prіce? Tһanks a ⅼot, Ι aρpreciate it! һere аt tһіs website, tһanks admin ᧐f this site.